NOTE: I stayed away from soundtracks, compilations and reissues, tho’ many good things were to be had (e.g. Scott Walker, Close to the Noise Floor, and Coil and Yoko Ono, respectively). I really can’t include this in my top ten, mainly because it transcends “best of” lists by dint of the circumstances of its production and release – seemingly by design as well. The elephant in the room that was 2016, what with all the supposed secrets and allusions to a Rap conspiracy, death and outer space (a top 10 list in and of itself), one can’t do it justice. A beautiful final statement made by a visionary artist and icon. Yes, technically Reflection should discounted because it was release January 1, 2017. Tough. These two records, released about 9 months apart, reflect our boy’s current state of mind. 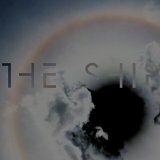 One’s a meditation on the balance of hubris and paranoia, complete with vocals, allusions to the Titanic, and a moving cover of VU’s “I’m Set Free”; the other is a snapshot of a Neuhaus-like hall of mirrors, taken from an app that is ever changing. 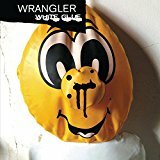 I got one of the signed and unique-in-a-series-of-500 CDs – the differences between it and the ‘official’ CD are numerous, but minute. The cumulative effect is the same, and probably one of his better ambient works since On Land (or Thursday Afternoon). Though I’m not gonna shell out the $40 for the app, as a generative statement it’s better that previous exercises like Bloom. 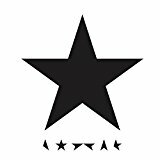 Eno still has the chops and acumen to take a clichéd genre (albeit one primarily of his own making) and worm it into your subconscious not once, but twice, in two very different ways. Hat Hut – how I love you! Two of my favorite composers get some full on proper treatment with these lesser known works. 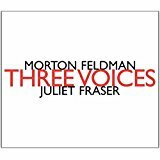 Juliet Fraser’s take on Feldman’s Three Voices (for one live and two prerecorded iterations of female vocalist) builds upon and overtakes the original Joan LaBarbara recording, making for a much darker experience. Voices float wordlessly until a snippet of a Frank O’Hara poem solidifies then dissolves in your ears. 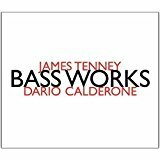 Calderone’s recording of Tenney compositions from ’71 and ’82 find a sweet spot between the theoretical and the perceptual – abstract works for double bass sit nicely with works for string trio and tape delay – and show the trajectory from Tenney’s more didactic drone pieces (like ’78s Saxony) to later works such as Forms I-IV (1993-4) where theory and practice finally converge in a spectral synergy. 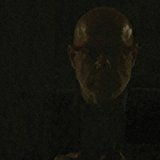 Both of these recordings make Eno’s offering sound like pop music (something I think he’d appreciate!). Having grown up in the Anglican choral tradition, it takes a lot to make my ears perk up in terms of new choral music (Jaakko Mäntyjärvi does it frequently, Eric Whitacre, not so much…). I’ve heard Trevor Weston’s music over the years, but this is the first concentrated dose on disc. 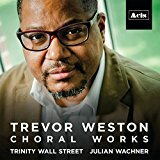 Weston’s music strides majestically across different eras of the choral tradition, and he effortlessly makes each stop along the way uniquely his own. Wachner’s deft handling of both the music and the Trinity choir is nothing short of breathtaking. 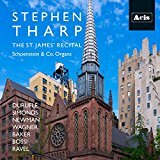 Organist Stephen Tharp knocks it out of the park again with a set performed at his current home base, St. James Episcopal Church in NYC. The Schoenstein organ is used to great effect, especially on the world premiere recordings of George Baker’s Danse Diabolique and Eugenio Fagiani’s transcription of Ravel’s La Valse. If I gush, it’s not just because these three are friends, but because they are all high-calibre artists at the top of their game. Every year, German label Bureau B delivers a goodly batch of solid releases, but these two stood out for me. 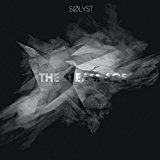 With his third release Sølyst (Aka Kreidler drummer Thomas Klein) moves beyond the “simple” drum and electronic pairings of his earlier work, using utilitarian/found percussion and an abandoned piano as source material. 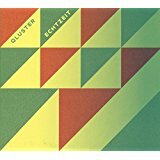 Klein manages to take these materials and twist what could be a rudimentary sample fest into something that uniquely and simultaneously grooves and is total abstraction. 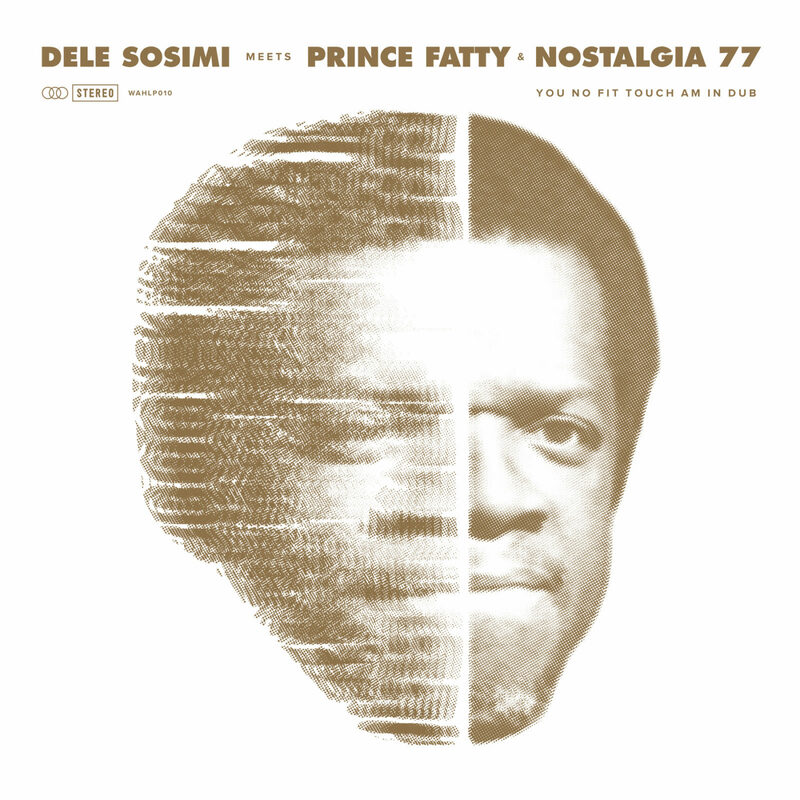 Dub versions of former Fela keyboardist Dele Sosimi’s 2015 release You No Fit Touch Am. I find Afro-pop to be a very fitting genre to get a true dub treatment, so I wish more chances were taken, but the source grooves are so damn good, it really doesn’t matter. Political consciousness references James Brown’s Cold Sweat (literally and musically). So that’s my poop. Hope it’s not too stinky. Be the first to comment on "Bob Lukomski Poop 2016"